Summer is quickly approaching and OSHA has recently launched into its annual seasonal campaign to prevent heat related illnesses for laborers. Heat stress can easily turn into heat stroke and even death so it is important for workers to know and understand the risks and warning signs of heat related illness. Any worker who labors for an extended period in hot and humid conditions is an employee at risk for heat illnesses. Some workers might be at greater risk than others if they have not built up a tolerance to working in hot conditions, are performing heavily laborious tasks or are wearing heavy or bulky PPE. Bodies cool themselves through the act of sweating but during hot weather, especially when paired with high humidity, sweating simply isn't enough. 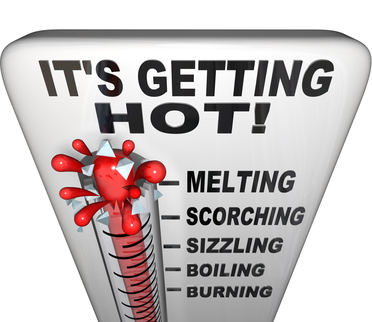 Body temperatures can rise to dangerous levels if proper precautions are not taken. Heat related illnesses can vary from the appearance of a heat rash and heat cramps to heat exhaustion and even heat stroke, which can lead to death and requires immediate medical attention. It is very important that employees know the signs and symptoms of these conditions and the proper methods for prevention. Jobs where employees are most affected by heat-related illness include positions in construction, transportation/utility, agriculture and building/grounds maintenance and cleaning. Other workers who may be affected by exposure to environmental heat include those in transportation/baggage handling, water transportation; landscaping services; greenhouse, nursery, and floriculture production; and support activities for oil and gas operations. OSHA sums up the key to their campaign in three simple words: water, rest and shade.